A/n: Here is day nine of the challenge. (I completed day 8 but it didn’t fit in with my blog). Todays prompt was to write about a man and woman walking through a park where they see an old woman on a bench knitting a red sweater. The twist was to tell it from each of their perspectives. His hand was curled tightly in my hand. My fingers were curled around his but I wasn’t actually using any pressure to hold on. He was doing all the holding, I was just present. I had been just “here,” for months now. I woke up and gave him his good morning kiss every morning; lips to cheek but with no feeling to make it mean anything. I did it because I had been doing it for years. Why change that routine? I moved around the house and through my day in a complete daze. My body moved, hands reaching for mugs and plates, using knives and forks, turning on light switches and turning doorknobs. My feet moved along paths that had been worn into the carpet. Same steps to the same destinations, everyday and through every hour. I didn’t even known what day it was let alone what month or year. I felt like my body was on auto pilot. My brain was set to the most basic setting, only completing those tasks necessary for survival. I don’t know when that switch got flipped or what caused me to check out front the world. Nothing had happened. No fight with my husband. I hadn’t gotten fired. And I hadn’t been diagnosed with some incurable disease. So what had caused me to just be content with being a playing piece that life just moved along the easy and simple paths? Nothing had happened. Maybe that was it? Nothing had happened to me in years. After I graduated, got my job and got married there was nothing left to happen in my life. We weren’t going to have kids so there was nothing left to happen until we retired and died. I was tired of waiting for life to get interesting so I just stopped caring. I was alive and that was enough. Wasn’t it? My husband was pulling me down a shaded lane of the park, long branches intertwined high above us throwing cool shadows down on us. It should have been a welcome relief from the sun, if only I actually had felt the warmth. Ahead on a bench sat an elderly woman, hands moving back and forth as she knitted a blood red sweater. Her eyes were trained on a spot right in front of her. She wasn’t actually paying attention to her knitting, she was waiting. A part of me wanted to turn a different way, run through the grass to avoid having to walk in front of this mystery woman. As we got closer and closer I felt the last live part of me shut down, my feet just stopped moving completely. My husband hadn’t noticed, he kept walking until he got the extent of my arm length. He stopped and turned to look at me. The minuscule part of my brain that was still chugging and puffing away at staying awake saw the tears on his face and wanted to desperately make them stop. I wanted those tears to leave this wonderful man alone. Tears I would take from him, if only to feel again. I had suggested a walk through the park. I had told her that after the winter we had endured we had to soak up every ounce of sunlight just in case we had to endure the torture again next season. She had agreed, just nodding. Not an enthusiastic nod as if I had suggested we go on a year long vacation. Not a casual nod, as if it was a good idea just nothing special. Just a nod that said, yes, because that was what nods were for. As we walked I realized I was basically pulling her along behind me. Her hand rested in mine. I held on tightly afraid that if I let go she would collapse onto the ground. I had no idea what had happened to this woman that I had fallen into cloud 9 with years ago. When we had met she was so bright, everyone smiled when she entered the room. You couldn’t help but feel uplifted when she interacted with you. It was like trying not to squeal with delight at a bunch of puppies. She was spontaneous, always up to try something new. Brand new restaurant? She was the first in no matter how experimental the menu was. You said you were bored? She would pull your to the car and take off for some destination that no one had ever knew existed. Now she just moved because she had to. She ate because she couldn’t live without food. She barely spoke and when she did her tone was devoid of anything resembling life and vitality. We came up to a tree lined path. I moved down the path, maybe cause of the shade? Maybe because it didn’t matter what way we moved as long as we moved? In the middle sat an old womb knitting a red sweater on a bench. She was very concentrated on her work. Never did she look up or move her eyes from her work. I wondered if she knew where she sat. As we got closer I felt a hard tug on my hand. Inch by inch it got more and more difficult to move forward while still attached to my wife. We were feet from the woman now and I felt as if I was pulling dead weight behind me. My heart sped up, pounding inside my chest so hard I wouldn’t be surprised to see a bruise there tomorrow. It had happened. I had tried so hard to save her but I had failed. She was gone. I was going turn around to find a crumple heap of what once had been an alive and beautiful woman at my feet. I tasted the salt from my tears sneak past my lips and my chest got so tight it was almost impossible to breathe. I had to turn around and see. See what had become of the woman I had once loved beyond my own life. I held my breath and turned around. I knew they were going to come to the park. Parks were neutral zones to talk. A place full of life that moved on despite your issues. Here your problems meant nothing to the trees, flowers and breeze. Here your problems felt insignificant and meaningless, making it easier to deal with whatever was hurting you. I scratched at the high collar chocking me. I hated this disguise. Old women were always treated either with pity or sickly sweet kindness. Neither emotion was ever real, just done because it was expected. I hated that. Doing something because the world expected it made me fidget, it was irritating like a mosquito in your ear. I have no idea how to knit. My hands were just moving back and forth and around in a circle. If anyone glimpsed the real me they would see a huge knotted ball on my lap, a tangled mess so bad it was pointless to try to save the yarn. To the world though I was on my way to creating the perfect sweater. I felt them enter the park and went on alert. I had to watch for when they got close then I could get this party started. They rounded a corner and it was showtime. The wife walked by placing one foot directly in front of the other, like it was her first time on two legs. She didn’t glance around her. Her eyes just stared at the back of her husband. Without her husband she would have walked into a pole or fallen on her face by now. She had no idea where she was. Her eyes were open but she wasn’t see a thing. He was two steps ahead of her. He was pulling her along like a disobedient child. He never looked back at her, never said a word. Just desperately kept forcing her to move forward. I doubt he had a real destination in mind, he just wanted to move forward. Forward had the solution. He was right this time. I whispered softly and her feet stopped completely. She wouldn’t be moving again for a moment. He got to the end of her arm and took a step backward at the resistance. I let him ponder what it meant for a moment. Gave him a look at his biggest fear in bright color; finding a wounded woman in a mess on the ground behind him. Then I forced him to turn around. Now they were face to face. He saw she was still standing and she saw the utter relief and love covering his face. He raced forward and gathered her in his arms. I released her and let her melt into his safe embrace. I put the “knitting,” away and dusted off my hands. Another job well done for me. I knew patting myself on the back wasn’t humble but I didn’t care. Everyone thought cupid was only around to spark love. I thought did a pretty damn good job keeping the spark alive as well, thank you very much. 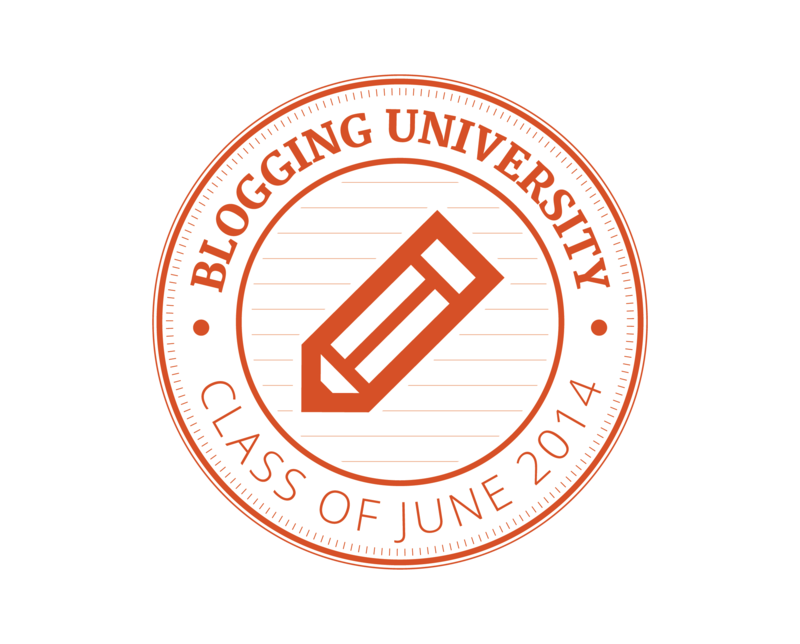 Posted on June 12, 2014, in Blogging University- Writing 101- June 2014 and tagged cupid, fiction, love, multiple POV, park, short story, writing 101. Bookmark the permalink. 2 Comments.